Experience wine country living at Oakmont Village! Here at Oakmont you’ll discover a retirement experience that opens doors to new friends, cherished pastimes and endless recreational opportunities — all in the midst of spectacular Sonoma County. Nestled at the tip of Jack London’s legendary Valley of the Moon, Oakmont delivers stunning vistas and exciting proximity to Northern California’s premier destinations. 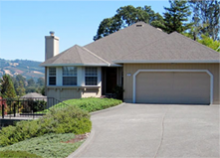 Explore the variety of homes available in Oakmont. You’ll discover an offering of settings, from the golf course to secluded hills and abundant styles and floor plans. There is much to choose from in pursuit of healthy living. 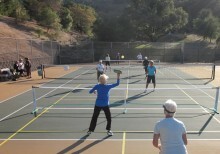 Oakmont offers an ideal environment for individual or club activities, whether it’s tennis and golf or stimulating lectures and computer classes. Oakmont residents view an annual guide complete with amenities, resources, maps and more. Please browse. 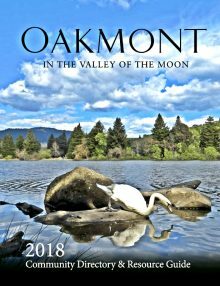 From amateur to professional, Oakmont’s photographers have donated their talents to this website, and their work is gratefully acknowledged here.